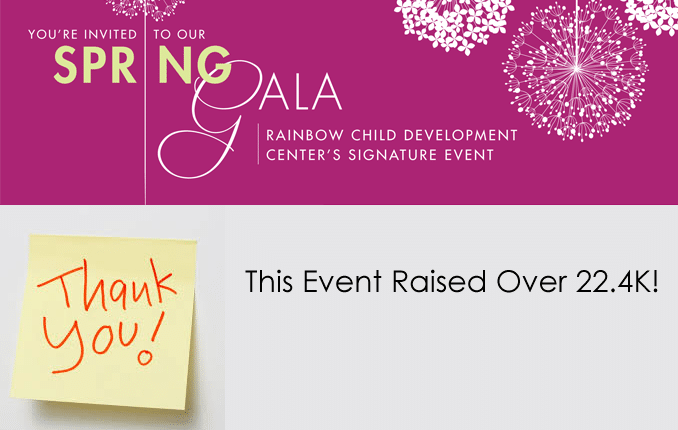 Rainbow Child Development Center’s (RCDC) Signature Event on April, 9 2016 at Cyprian Keyes Golf Club successfully raised over $22,400! This achievement was possible through generous financial response from the Center’s community sponsors, business partners and individual donors. One highlight of the evening was a Rainbow parent’s affirmation of the Center’s positive influence on her children and family. Funds from the event will assist in supporting the Center’s on site Speech and Language Program, literacy programs, early education and care programs, cultural and healthy lifestyle programming.